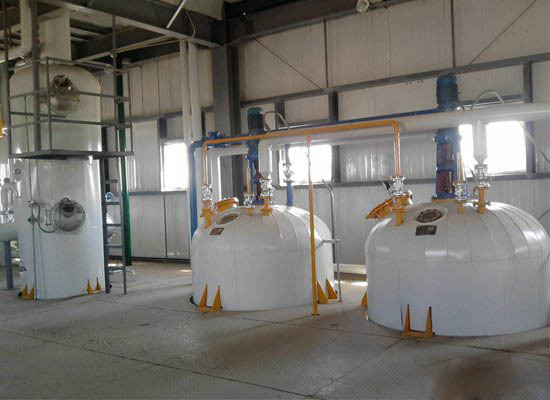 Crude oil refining plant can produce edible oil with characteristics that consumers desire such as bland flavour and odour, clear appearance, light colour, stability to oxidation and suitability for frying. 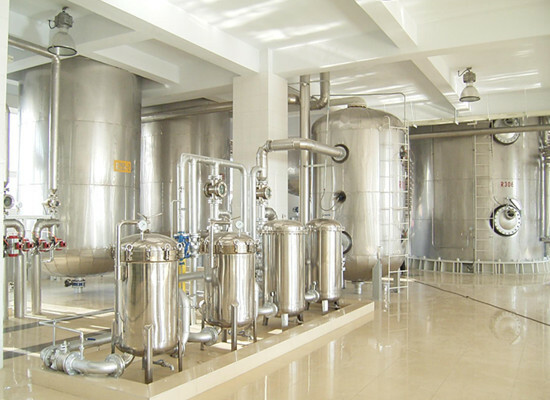 Two main refining methods are chemical refining and physical refining (steam stripping, distillative neutralisation) which are used for removing the free fatty acids. Peanut oil, soybean oil, sunflower oil, rapeseed oil, cottonseed oil, maize oil, rice bran oil, tea seed oil, sesame oil, castor oil, sesame oil, tung oil, walnut oil, palm oil, palm kernel oil, etc. First or second class of national standard. Neutralising of the free fatty acids with a slight excess of sodium hydroxide solution, followed by the washing out of soaps and hydrated phospholipids. Deodorising to remove volatile components, mainly aldehydes and ketones, with low threshold values for detection by taste or smell. Deodorisation is essentially a steam distillation process carried out at low pressures (2-6 mbar) and elevated temperatures (180-220°C). Note: if you are interested in our different types of crude oil refining plant, you can keep on reading the production description. 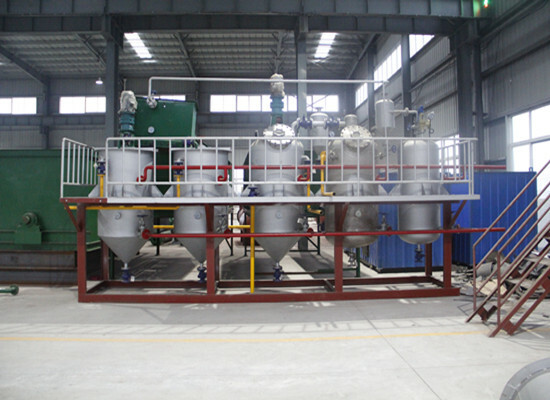 Prev:How to clean palm oil refining equipment? Next:What's the production process of cooking oil? 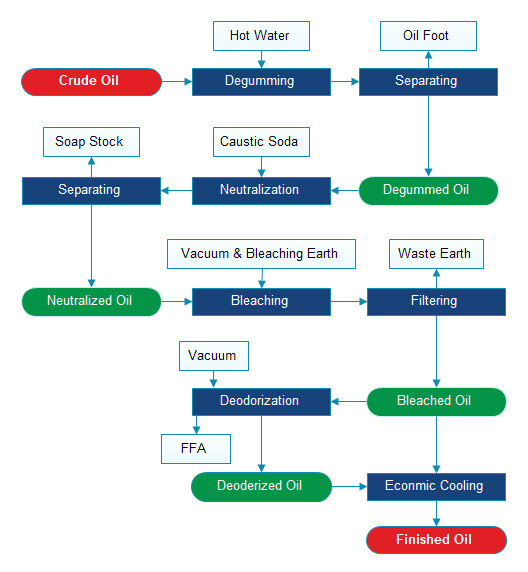 If you wanna to get more details about what is the process for refining crude oil? you can send E-mail to market@doinggroup.com. You can consult our professional engineer and specialized sales team with leave a message in below form.We will contact with you ASAP.You also can visit our factory in Henan,China.Get Detailed address.